Remember when summer months were filled with concerts, picnics, and lazy days? Time was spent outside enjoying life's moments. Growing up, I remember one event, the Fireman Field Days, that was the highlight of the summer in my neighborhood. Parents who belonged to the volunteer fire department prepared for the event months in advance. Anticipation came in bundles as the event neared. Children watched adults erect tents and prepare food. Everyone always expected good weather. As the years moved on so did the fashion of the times and the way that we as children participated. Older children were allowed to help prepare for the annual event. During the hot, summer nights when the field days were held, children lined up in the streets waiting to feel the spritz of the fire hoses as water poured out during the competition. The food tents were crowded, especially the salt potato booth. Gobs of butter were placed all over the delicious small red potatoes that were created in honor of Syracuse's early salt mines. Cotton candy in a bubblegum pink color was piled high in paper cones and often spotted on the ferris wheel ride. Everyone played penny toss and other games as we moved from tent to tent. Shrieks and laughter were heard, evidence that everyone was relaxing and enjoying the nighttime event. Each night when we walked the few blocks home, conversation would center on coming back for one more night of fun. 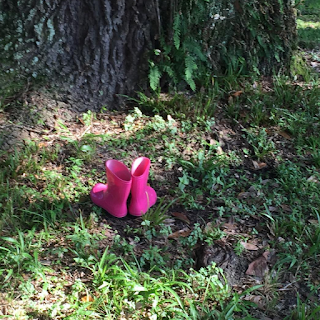 When the field days were over, summer returned to a routine: playing in each other's yards, waiting to whiff the delicious smells of the next pies my friend's mom would bake, reading in the sun, and listening to the transistor radio. In contrast to growing up in Central New York, today's children on Long Island are often seen playing with their electronics, discussing video games, and going to beaches. The ever-popular tan is still being sported by many children. Today, I try to savor my summer days but I need to be intentional about them. Household tasks always seem to take away from leisure time, if I allow them to do so. 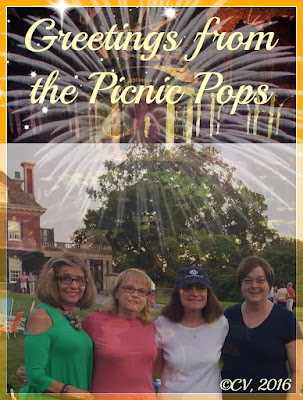 On Wednesday night, my friends and I decided to attend the Picnic Pops at Old Westbury Gardens. This time there was a clear weather report and I did not have to worry about being caught in summer rains like the last time (you can read about that here). 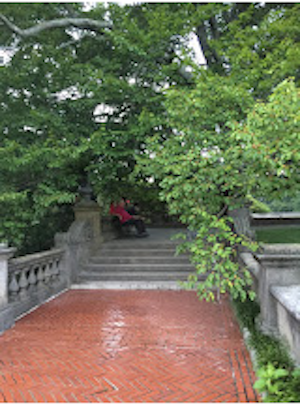 The weather was warm, the music soothing, and the picnic food delicious but it was the walk in the gardens that brought me to a place of peace. 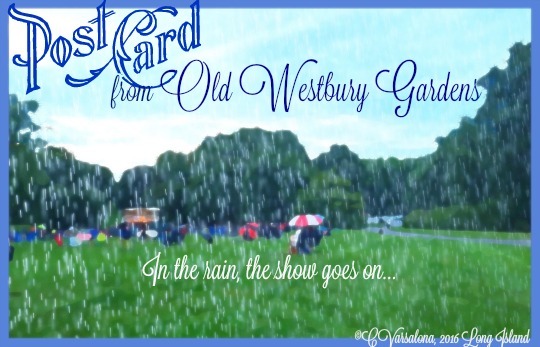 As I walked with my friend she recounted stories about Old Westbury Gardens the way it was at the turn of the 20th Century and thirty years ago when she came to Long Island. The grandeur of the land was evident on this night. I snapped some photos and found a couple that I decided to digitalize with the Mobile Monet to give them an impressionist-look. I think they capture the majesty of the gardens that last still today. It is time to Celebrate This Week with Ruth Ayres. I look forward to hearing the positives of my colleagues' week. 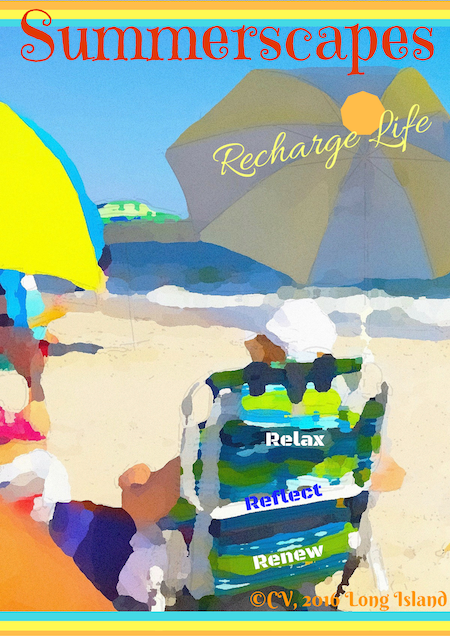 Summertime is our time to follow our passion, recharge, and relax. 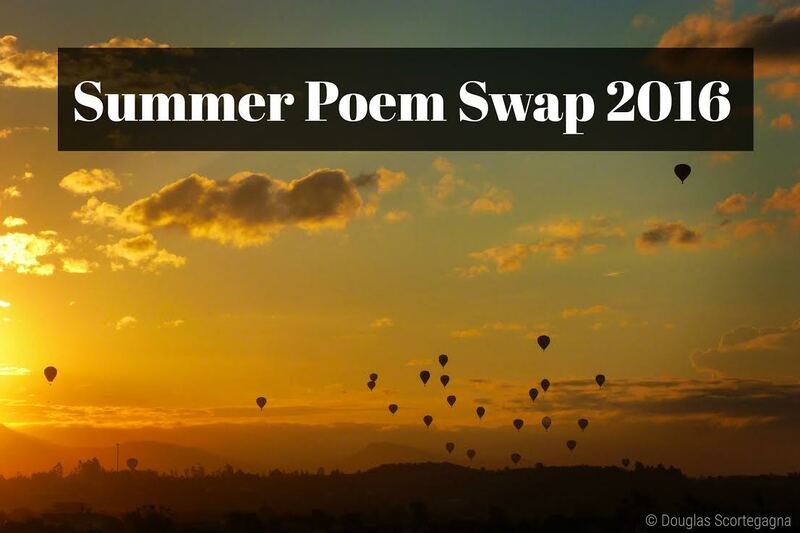 Poem swapping is one activity that I have been involved with for two summers now. There is an element of creativity and anticipation each time a swap approaches. 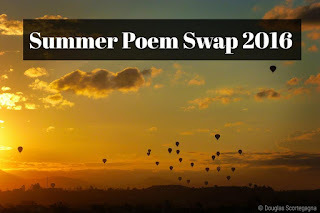 Swappers send an original poem to a person in the writing community via Tabatha Yeatts, the originator of the Summer Poem Swap. Poem swapping allows me to be taken back to a quieter time in America when postcard writing was the norm. 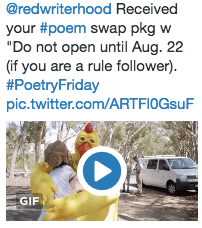 Poem Swap #1 was sent to me by a writing colleague, Jone MacCulloch early this summer. 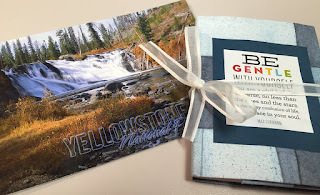 After Jone visited Yellowstone National Park she sent me another surprise. Inside the package was a postcard that read: "I got home from this gorgeous place. Felt inspired to create little journals to tend to poetry swappers. Enjoy." Thank you, Jone, for the inspirational quote and petite notebook beside the summer postcard poem that can be found here. An intriguing POEM SWAP #5 package arrived on July 20, 2016 from my poet friend, Keri Lewis. I sent this tweet back to her with a hug. While I am tempted to open the package, I tweeted this to Keri, "I'll play by the rules, Keri, until August 22nd." Then, Poem Swap #3's package arrived before I left for a beautiful "summerscape" weekend celebrating a family friend's wedding at the Jersey Shore. My Twitter friend and poet, Linda Baie, filled the envelope with many pieces to read. It was like Christmas in July this month. Linda wrote a beautiful summer poem using the Etheree poetic format. The Etheree consists of 10 lines of 1,2,3,4,5,6,7,8,9,10 syllables. To add their part to this growing crowd. Boastful humans write poems of their feat. Beside the poem, Linda sent me a precious, little book that is over 100 years old (see above).The book celebrates poetry, florals, life, nature, and faith. As Linda said, it reminded her of my galleries (the invitation to #Summerscapes can be accessed here). I thank Linda today for her thoughtful collection of poetry that she sent me. Little did she know that I have a collection of books dating back to the Victorian era that I purchased from one family's collection along with a beautifully carved, rosewood couch from the 1850's. 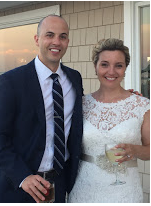 When I returned from the Jersey Shore, I sent off my Poem Swap #3 to my colleague, friend, and writer, Margaret Simon. It was a humble attempt at a riddle poem inspired by the intense heat. After that, I found a poetry prompt on Margaret's Instagram site that intrigued me, so I composed this while thinking about my journey into digital writing. Now please join my friend Margaret Simon who is hosting Poetry Friday this week at Reflections on the Teche. This summer, Boston hosted #ILA16. I eagerly traveled with my husband and son to the first "big" city I lived near during my early years of college. 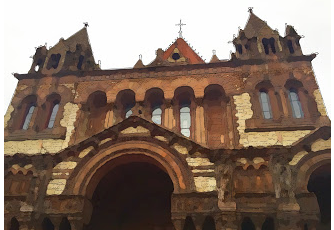 I looked forward to walking the cobble-stoned streets and seeing the beautiful old structures once again. In between being inspired by literary luminaries, meeting authors, presenting at #EdCampLiteracy and #ILA16, and having "aha" moments with Twitter pals, I found time to meet-up with slicer friends from the Two Writing Teachers' Writing Community. As, Aileen Hower, slicer, and I walked the beautiful streets of Beacon Hill an unexpected happening occurred. Just as we were speaking of authors who could present at our literacy associations along came Paul Griffin, author and fellow New Yorker. This was a serendipitous happening that clearly made us all smile. Then, Aileen and I continued walking to greet the other slicers who were meeting for breakfast in an independent book store restaurant. This was a wonderful start to another great day at the International Literacy Conference where I mixed professional learning with fun and enjoyment. 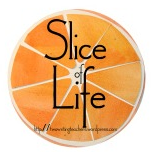 share their slices of life at #SOL16. When I was a child, I remember chasing summer days with passion. 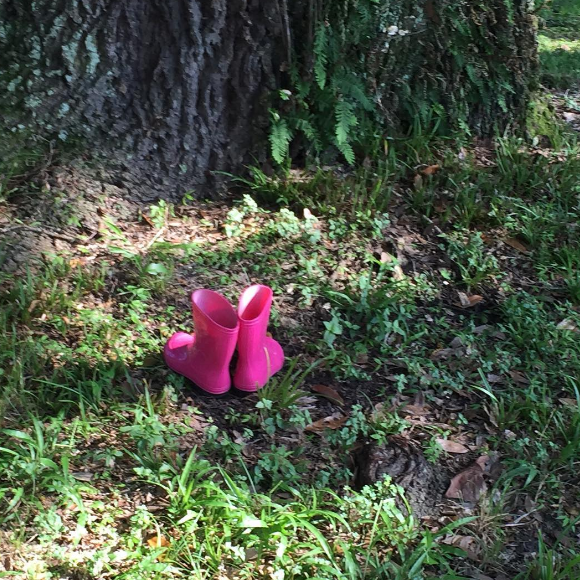 Whether it was playing stone teacher with friends, taking a walk to the neighborhood grocery store to buy a popsicle, capturing fireflies, or visiting my Nonnie, life was full of enjoyment. Summertime seemed endless then. What if we could re-capture our childhood passion for savoring summer days? If so, would we be able to enjoy life to a fuller extent? Summer in the Northeast is not an endless one. It can be enjoyed fully with ingenuity and positivity! 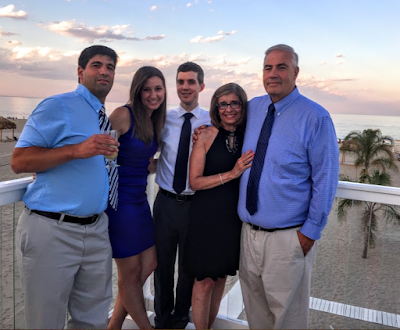 I captured a summerscape moment when my family traveled to the Jersey Shore for a fremily wedding weekend. 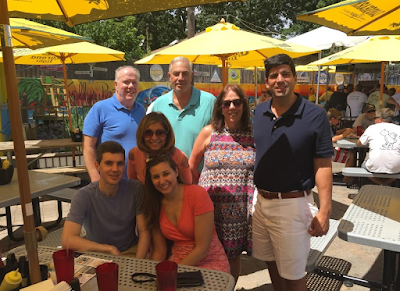 The heat may have been oppressive but the pleasure of being with family and friends allowed me to savor each event. Are you ready to slow down to celebrate life? 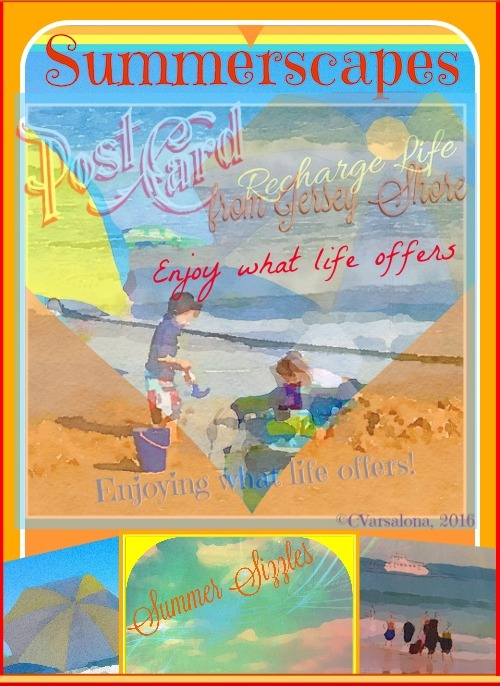 Consider adding your special summer moment to my newest global gallery of artistic expressions, Summerscapes. The invitation is here. 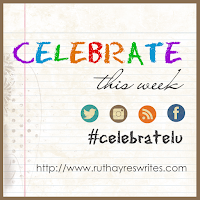 Since I was celebrating last weekend, I missed posting at Ruth Ayres' Celebrate This Week site. This tribute to summerscape moments is my addition. Relax, Reflect, Renew Your Life! to connect with your inner self. and share them digitally with the world. During the summer when the heat reaches a high, I travel to one of the south shore beaches of Long Island. There the roar of the waves and the breathing in of the salt air, allow my mind to drift. The sand tickles my toes. I feel the call to relax and the to do moments drift away as the breeze lulls me to a dozing state. At these times, I find my "summerscape" moments. At other times, I can plan a mini-cation to a new site close by and capture the beauty of nature in summertime settings. Join me this summer to find special mini-cation places to recharge. It does not have to be a vacation spot far away. You know the places where you can go so your mind drifts and you relax. Be inspired to find your summerscape. 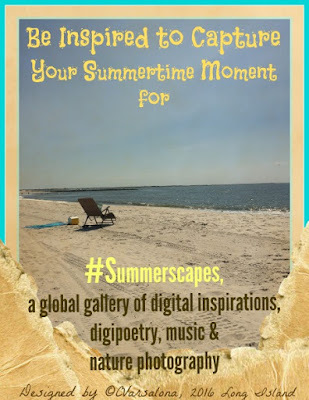 Capture it with your camera, create a digital expression, and add your inspired creation to my newest global gallery of artistic expressions, Summerscapes. Please peruse last summer's invitation and the gallery, Summer Splashings, for a sampling of the digital gallery concept before creating your summerscape moment. Be creative. Capture your favorite summerscape moment through an original photo or drawing. You can also choose a free image from morguefile.com, pixabay.com, or photosforclass.com. Superimpose your words on the image using a photo editing tool, like PicMonkey or Canva. Post your digital expression in jpeg form (450 pixels is the best size) using the following hashtags on Twitter: #Summerscapes and @cvarsalona. 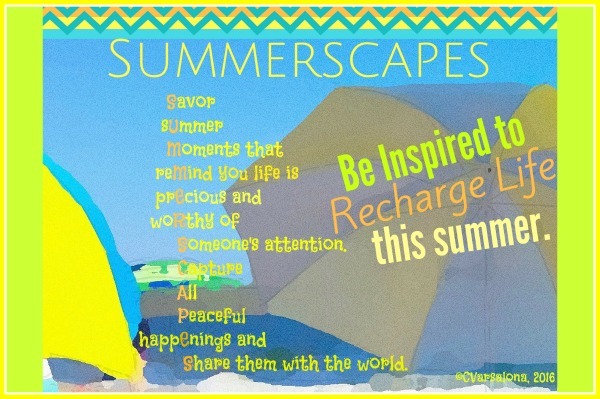 Send your jpeg offering to @cvarsalona at gmail with the subject heading, Summerscapes. NOTE: All submissions must have your name and locale at the bottom. creative writing/artistic project to showcase their talents and amplify their voices. 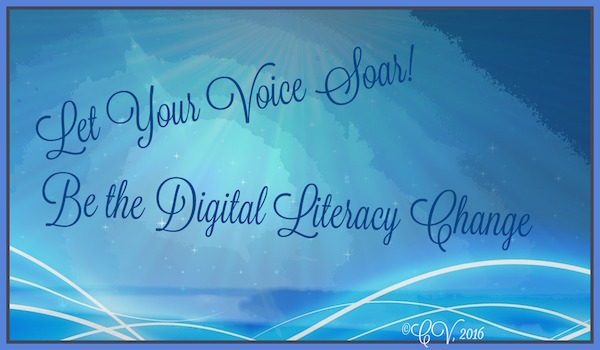 This invitation integrates the arts, technology and literacy to allow voice to be amplified across the globe and bring awareness of the beauty of the earth. Enjoy the experience of finding your summerscape adventure and be inspired to share it with a global audience. to read posts by my writing colleagues. Summer's been rocking with high temperatures and lightning storms making me think it is trying to get the world's attention. Well, it has as far as I'm concerned. My family and I are often seen scrambling for patio chair pads, bringing them in and returning them after summer showers. I laugh now thinking that I was worried about my garden in the summer heat. In contrast to the visual of dying plants, my flowers and grass seem to be thriving from the heat and rainstorms. The black-eyed susans and lavender are bursting to breathe in the heat each day and I look forward to a quick downpour to cool down the evening. My grandmother's watering can has been a useful tool and a great reminder of the beautiful rose gardens that I use to stroll through on her property. 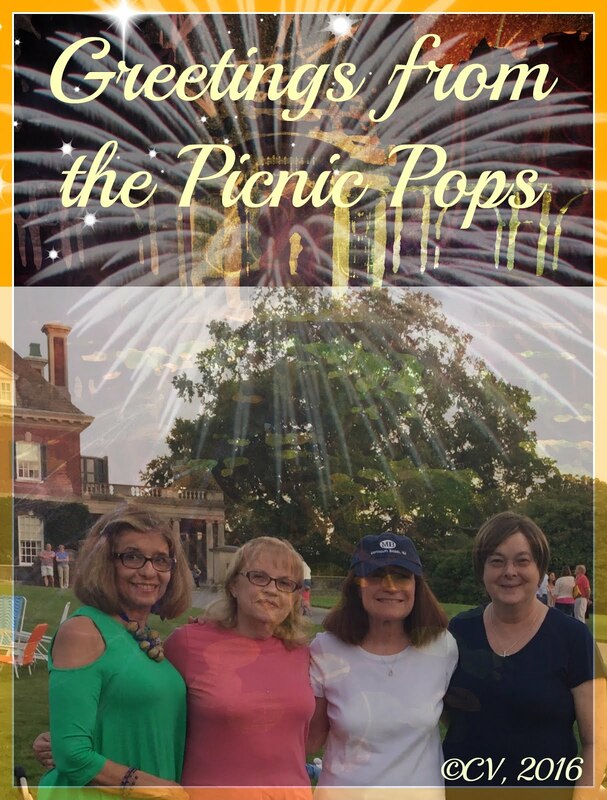 Last Wednesday, the temperatures were high so we decided to join our friends at Long Island's historic landmark Westbury Gardens for the Summer Pops series. It did not dawn on us to bring the umbrella out from the car as we walked the short distance to the great lawn. Chairs were laid out in front of the 19th Century Mansion and food tables were set up by picnic-goers. As we met our friends and placed our specialities on the table, we all settled down to listen to the music and have an old-fashioned outdoor summer picnic. and so the night continued with the band singing in the rain until the rains passed. Please visit Two Writing Teachers here where colleagues are offering their slices of life for all to read. 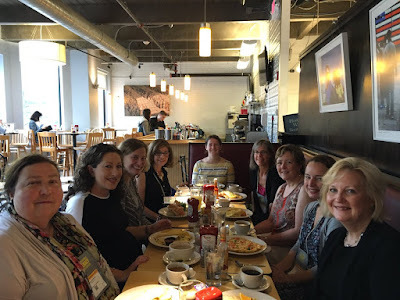 #ILA16 in Boston last weekend was an amazing compilation of #learning, meet-ups, & strong voices celebrating #literacy. It is not often that you can be in a space of learning with committed educators and literacy luminaries who share the same mindsets and vision to impact teaching and learning. I celebrate the #ILA16 experience through visuals. 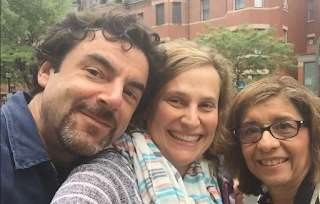 My family and I arrived in Boston in time for my #edcampliteracy session where I met Twitter friends face-to-face for the first time. There were many hugs and aha moments before I presented, Discovering Wonder and Joy Through Inquiry Via Family Literacy. As Wonderopolis' Wonder Lead Ambassador, I was happy to shed light on various family literacy programs that allow students and parents to notice and wonder about new topics. 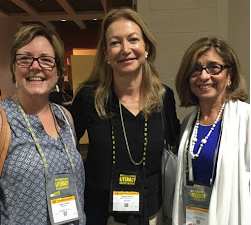 There was high energy the morning #ILA16 opened. Keynote presenters, Kwame Alexander and Adora Svitak, wowed the audience. 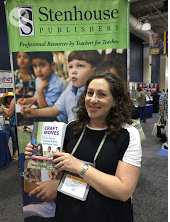 During the day, I met up with connected educators and authors. 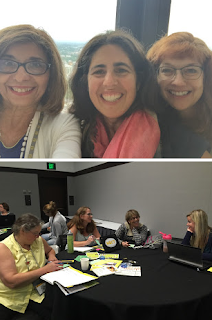 My colleagues, Dr. Michele Haiken and Laura Purdie Salas, presented Transforming Writers' Lives With Digital Tools as Powerful Agents to Impact Literacy Instruction, Authenticate Voice, & Present Positive Perspectives with me to an full house, engaged audience. After my two presentations, I felt excited to have engaged with many interested educators and ready for additional learning and meet-ups. The short video I created expresses my interest in impacting digital literacy. You can access it here. You can read my post on a Courageous Conversation led by Cornelius Minor at #ILA16 here. 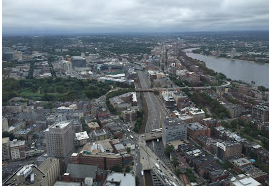 Since I missed Celebrate This Week last weekend due to my busy weekend at #ILA16, I am recounting the first part of my celebration of the International Literacy Association Conference in Boston with this post. 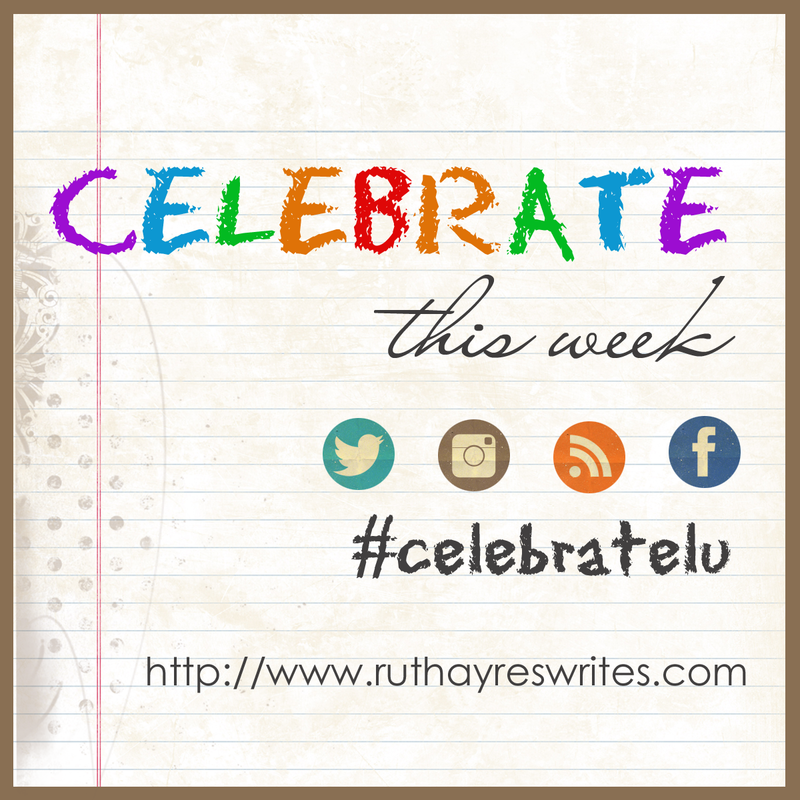 Please visit Ruth Ayres' Celebrate This Week site to read how Ruth celebrates her family this week. 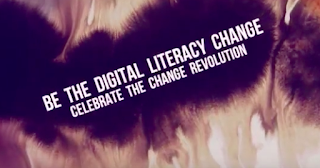 Last week in Boston at the International Literacy Association 2016 Conference, a courageous conversation ensued and created a ripple effect with far-reaching effects. I was fortunate to be present when my educator friend, Cornelius Minor, opened an impromptu forum with three simple questions. Why did you come? How do you feel? How do you hope to feel? All present were encouraged to engage in an open conversation on racial relations to help us grapple with the troubling issues of the times. As reflective educators, we listened, partnered to discuss the bystander/upstander concept, and pondered ways to bring the conversation to students on an academic level. The discussion centered on a positive perspective so that trust was built among educators from around the states. During the short time together, a community evolved. After the first reflective pause, Sara Ahmed's statement, "Be vigilant of our own biases," prompted me to complete a quick recheck of my past actions and how I have dealt with the issues. I reflected on the amount of racial tensions multiplying throughout the world, leading to a disregard of kindness to fellow man. I thought about the word hate and how it has led to violence and the uprooting of seeds of love. I questioned why there is general unrest and a sense of disconnectedness in the world. Why did I come to Cornelius Minor's session at ILA 16? I came to hear the conversation that would push me out of my comfort zone. How did I feel? To say the least, I felt uneasy. On the other hand, I felt empowered to have a voice in a conversation with thoughtful educators. What I hoped to feel was a sense of balance when I left the room. During the courageous conversation, positivity flowed as we grappled with the issues and our emotions. We confronted the uncomfortable and connected as a body of collective practitioners. We provided avenues to explore, knowing that much needs to be accomplished. From this conversation, words started spinning in my head. 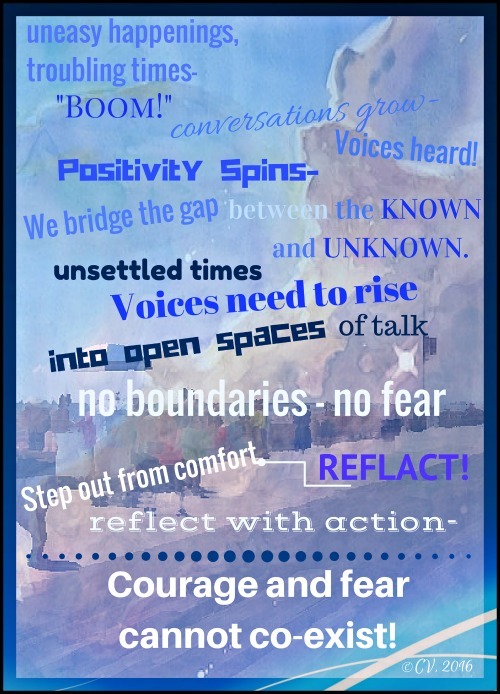 A draft of a poem recording my impressions of the powerful interaction at ILA 16 evolved. I listened, wove words together, and created. Dr. Stephen Peters' words, "Courage and fear cannot co-exist," resounded with me and brought closure to my thoughts. From a powerful ninety-minute happening, the following thoughts were designed into a digital composition. When I left the room, I was almost speechless. The effect of connected educators trying to make sense of the unthinkable stayed with me as a hope for future conversations with family, friends, and educators. One week later, I am still thinking and engaging in face-to-face and Twitter conversations on the issue of man's inhumanity to man. What can be done to stop fear from rearing its head and breaking down walls? It is my hope that as connected educators and colleagues, we can band together to raise our voices as a collective body of thoughtful practitioners of life. We have the power to make a difference in a world ridden with disconnect. It our voices that can be heard and our voices that will impact our students' and children's lives. We can become the difference makers that will bring about change.